LONDON, 2017-Sep-08 — /Travel PR News/ — A UK-wide tourism campaign is launching to inspire young people from Great Britain and Northern Ireland to take a holiday at home. Statistics show that 16-to-34 year olds took almost 1.4 million fewer holidays at home last year compared to a decade ago. VisitEngland’s £2.5 million ‘Join the World – Discover the UK’ digital and social media campaign, launching on Monday 11 September, is targeting this ‘lost generation’ using overseas social media influencers and travellers to showcase to their peers the amazing moments and experiences that can only be had on a holiday at home in the UK. The campaign is run in partnership with the national tourism organisations of Northern Ireland, Scotland and Wales and tourism businesses and destination management organisations across the UK. 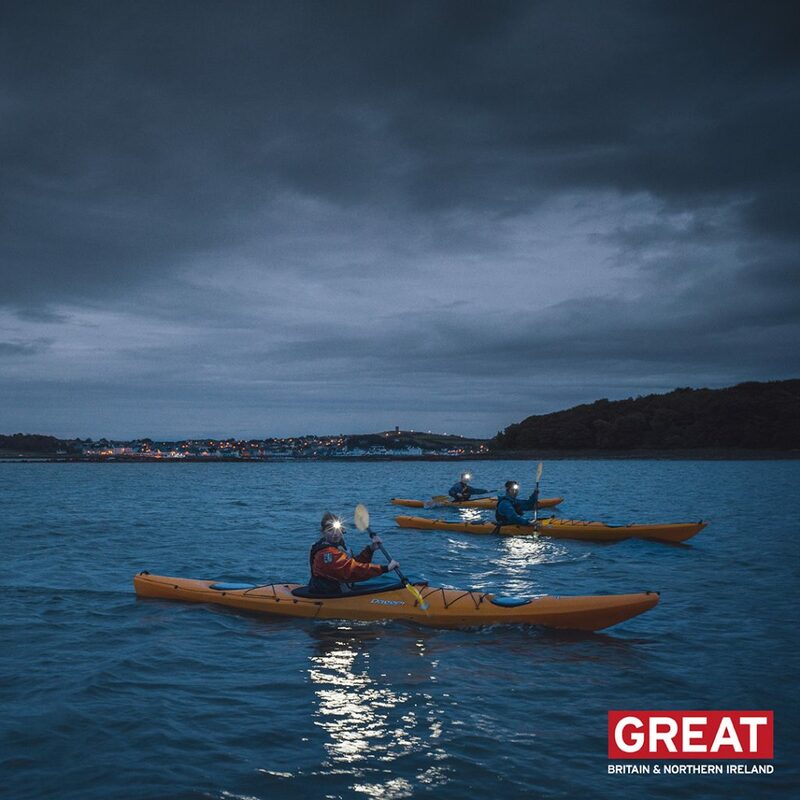 Part of the UK Government’s GREAT Britain campaign Join the World – Discover the UK is expected to generate more than one million additional overnight stays with an £80 million boost to the economy. “There is an incredible amount to see and do across the whole of the UK and we want to inspire more young people to take in our world-class attractions, sites and cities. “From moonlight kayaking in Northern Ireland and mountain-biking down Elan Valley in Wales to a night-out in the vibrant Ashton Lane in Glasgow and craft-beer experiences in Yorkshire, the UK is packed full of amazing moments. Join the World – Discover the UK kicks off with the launch of five short films and images showcasing experiences in London(link is external) and Yorkshire(link is external) in England, Strangford Lough(link is external) in Northern Ireland, Glasgow(link is external) in Scotland and Elan Valley(link is external) in Wales, through the eyes of international travellers. These are being promoted across digital and social media channels Facebook, Instagram and Snapchat and dozens of digital billboards throughout the UK. The campaign drives online ‘traffic’ to a hub on www.visitbritain.com/jointheworld(link is external) featuring blogs and user-generated content showcasing seasonal events, activities and experiences. Visitors can upload images of their own amazing moments on social media using #lovegreatbritain and #loveUK for the chance to feature on the hub. Short-films created by a French social media influencer on a foodie trip to Northern Ireland and a Canadian influencer on a city-trip to Bristol launch in October. The campaign runs throughout the year with peaks in paid media activity targeting the shoulder seasons to encourage young people to take short-breaks in the UK, boosting travel during the quieter seasons. Join the World – Discover the UK marks the sixth year that VisitEngland has run a campaign to boost domestic tourism and get people out exploring the UK with former promotions featuring Wallace & Gromit, Shaun the Sheep and celebrities. For tips on how to travel the UK like an international millennial, click here(link is external). In 2006 there were 13.96 million domestic overnight holidays taken by the 16-34 year old age group in Great Britain. In 2016 there were 12.60 million overnight holidays taken by this age group in Great Britain. There has therefore been a decrease of 1.36 million domestic overnight holidays taken in Great Britain for the 16-34 year old age group since 2006 (source: Great Britain Tourism Survey). In 2016, 33% of overseas visits to the UK were by young people (ages 16-34) – 12.37 million. They spent £7.7 billion in the UK last year (34% of total spending). In 2016 the average spend in the UK by this age group from overseas was £625 per visit (the UK average was £599). And average nights per visit for this age group from overseas was also higher – 8.9 nights vs. the UK average of 7.3 nights. The top five inbound markets for the number of visits to the UK for this age group (aged 16-34) in 2016 were: France, Germany, USA, Irish Republic and Italy. Communicating a sense of atmosphere and emotion is important in attracting visitors according to research by VisitBritain. Social media is a powerful influencer in positioning the UK as a destination of choice, with research showing that 71% of visitors to the UK used social media on their last international holiday (link to research). This entry was posted in Tourism, Travel, Travel Marketing, Travel Services, Travelers and tagged digital and social media campaign, John Glen, Sally Balcombe, VisitEngland, ‘Join the World - Discover the UK’. Bookmark the permalink.